Detention warrants were issued for 23 dismissed judges and prosecutors in İzmir as part of an investigation into the Gülen movement and a failed coup attempt on July 15. Out of the 23 jurists for whom detention warrants were issued, 20 had been taken into custody as of Saturday noon by police in İzmir after raids on a number of locations. 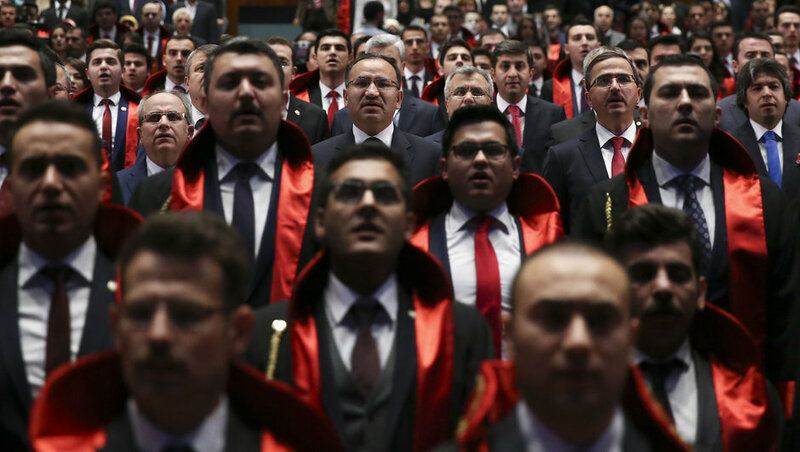 On Friday, Turkey’s Supreme Council of Judges and Prosecutors (HSYK) dismissed 202 judges and prosecutors over their links to the faith-based Gülen movement, which Turkish authorities accuse of being behind the failed coup attempt in July last of year. According to tally by turkeypurge.com, a total of 4,272 judges and prosecutors were purged over alleged coup involvement or terrorist links.